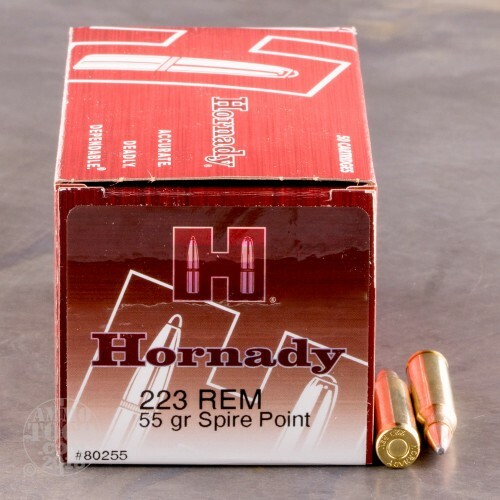 Suitable for a variety of game animals, this .223 Remington ammunition from Hornady comes packaged in an economical 500-round case that can save you some real money! 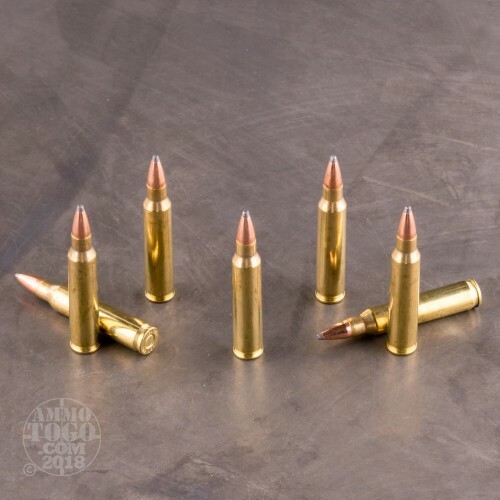 These cartridges have similar external ballistics to M193 ball rounds, a significant plus if you use mil-spec ammo on the range with an optic. AR-15s, Mini-14s, and bolt-action rifles all excel when firing this load. 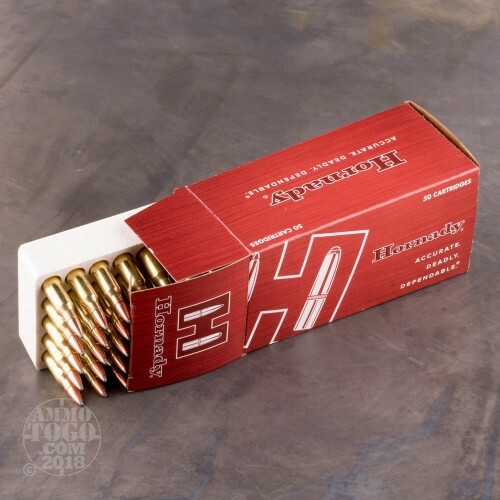 This soft point ammo makes for a great multi-purpose round. It can be used fir precision range training, varmint hunting, hog hunting, and even for home defense in a pinch. This ammo is made in Grand Island, Nebraska using non-corrosive primers and brass cases. 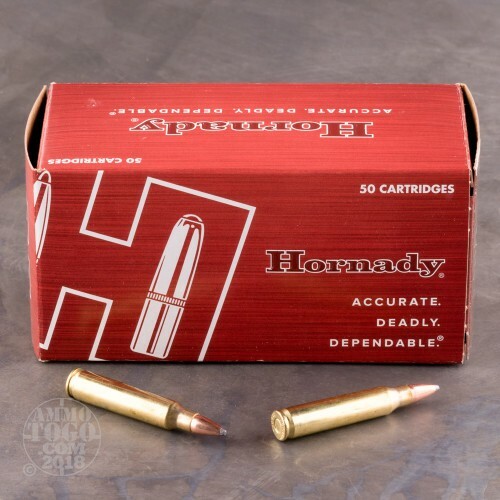 Each box contains 50 cartridges, with 10 boxes per case.